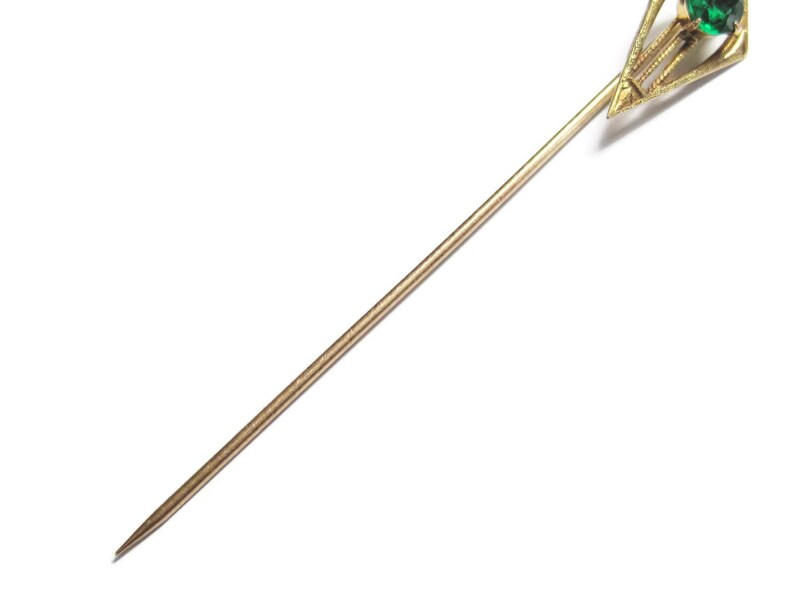 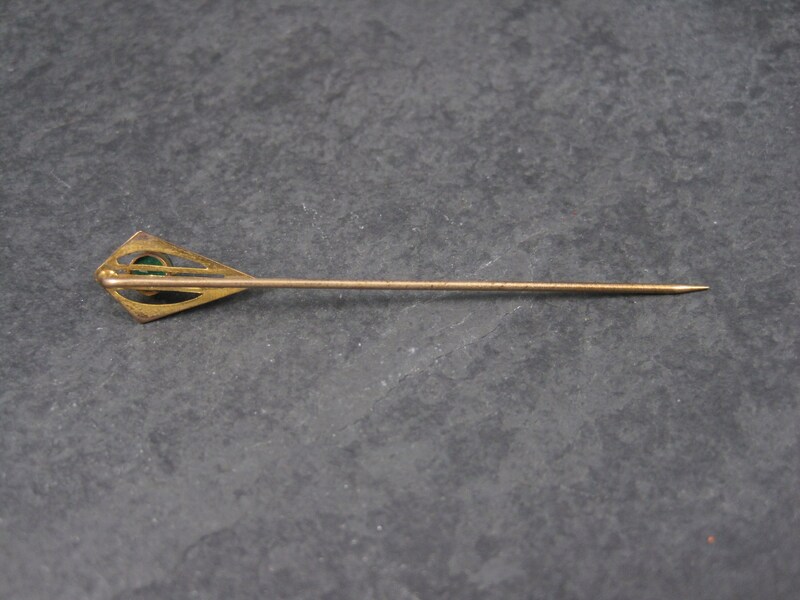 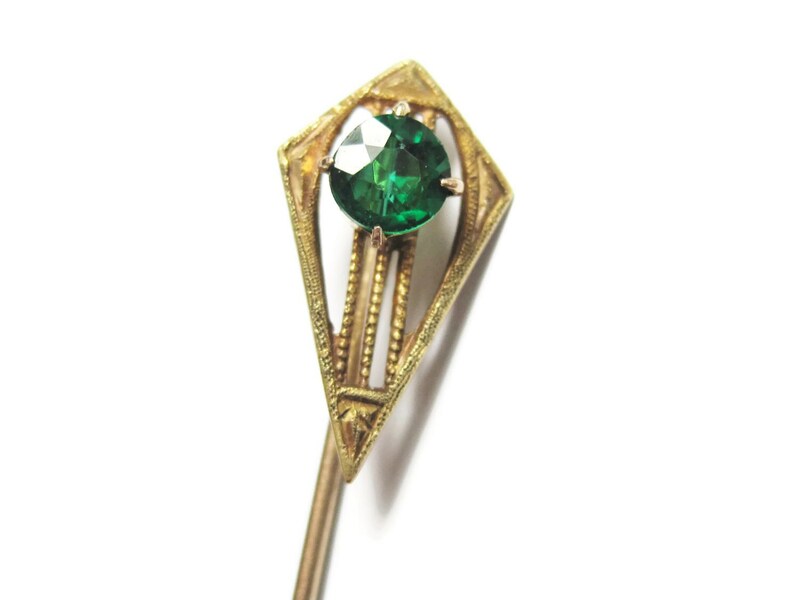 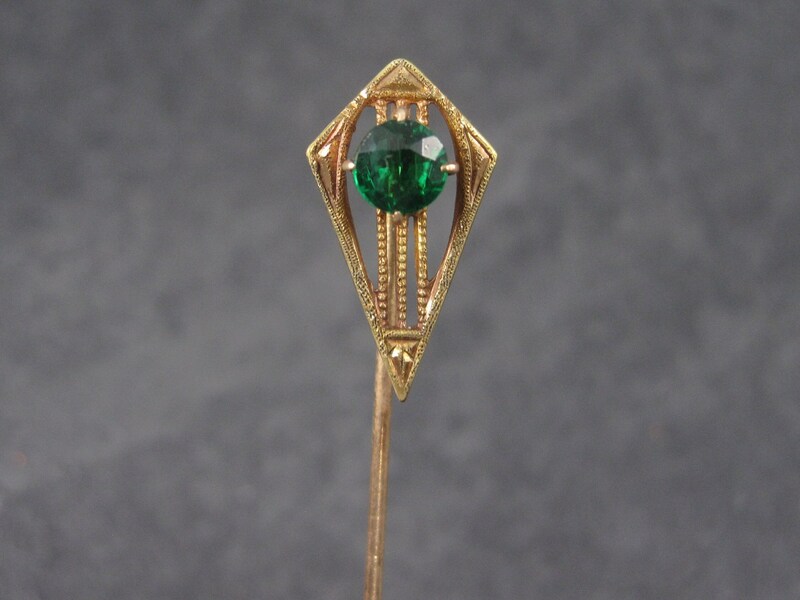 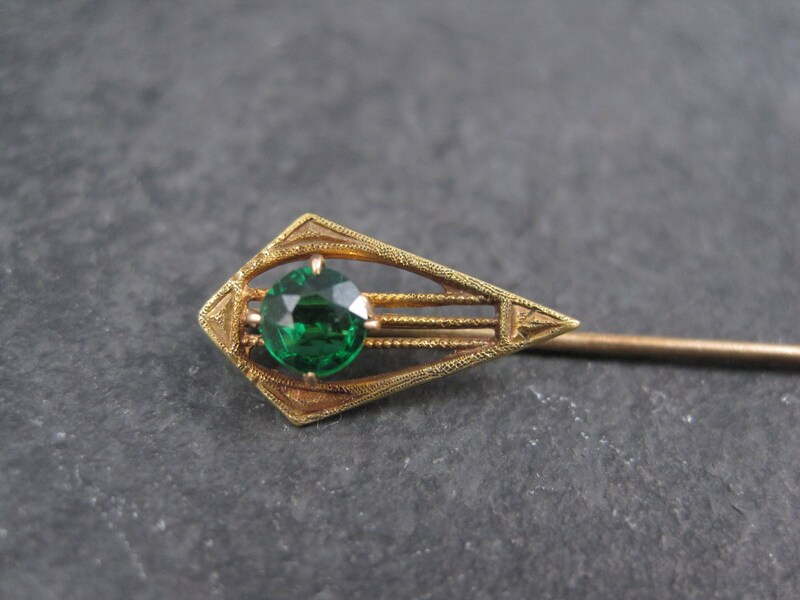 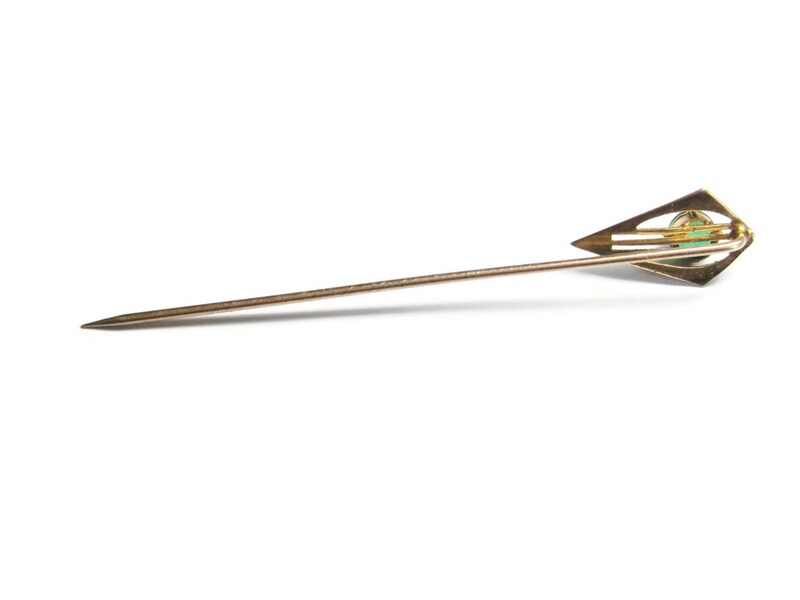 This beautiful stick pin is solid 10K yellow gold. 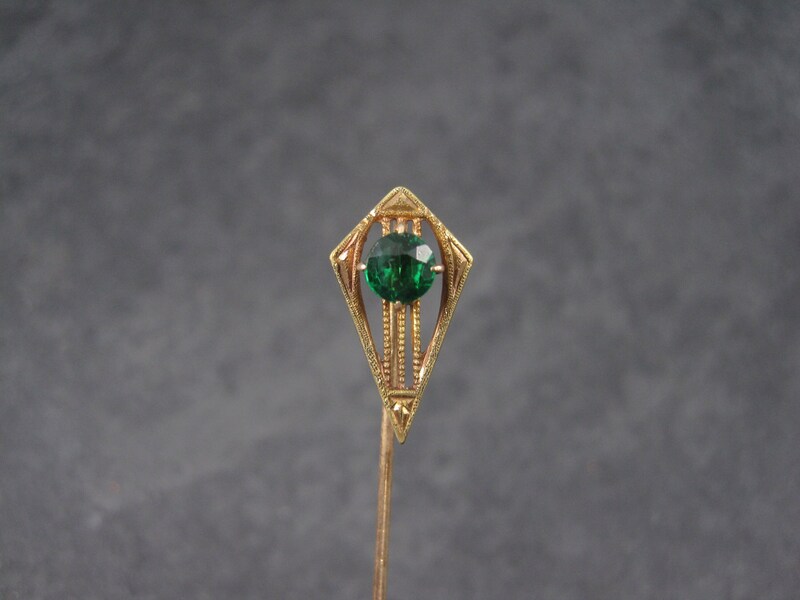 It features a beautiful green glass stone. 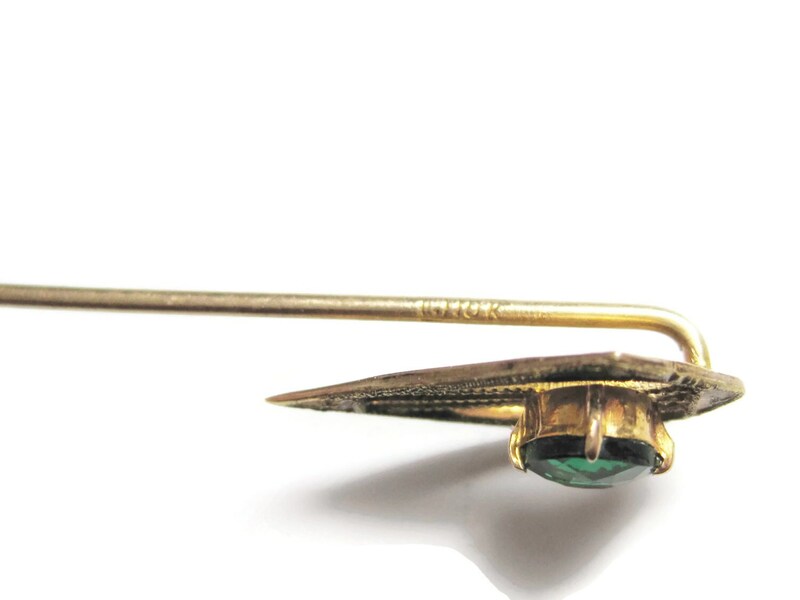 The head of the pin measures 3/8 by 11/16 of an inch. 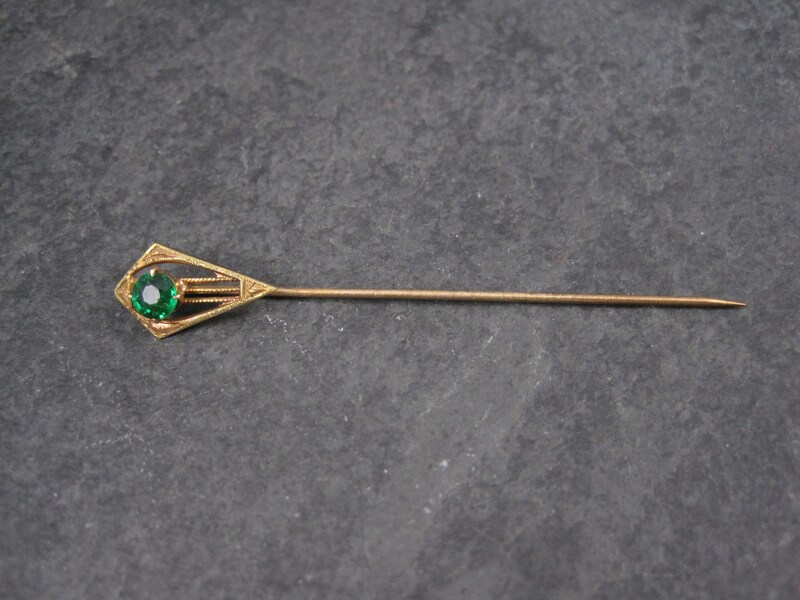 The pin from top to bottom measures 2 1/2 inches long.